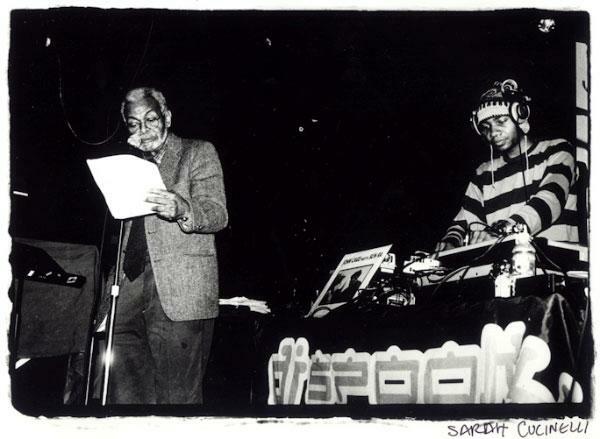 Amiri Baraka has been publishing "new" poetry for more than 5 decades now, and during that time, he has remained at or near the forefront in scholarly discussion concerning our leading poets. In other words, for more than half a century, Baraka's poetry, not to mention his other writings, has circulated fairly widely and been frequently discussed in classrooms and scholarly discourses. Baraka's durability over the years, no, the decades is quite remarkable. The chances that a poet might maintain relevance beyond a few canonical poems over a long period of time was unlikely in the past. For one, popular poets did not live as long. Paul Laurence Dunbar died when he was 33, and Langston Hughes lived to age 65. Although Margaret Walker and Gwendolyn Brooks both lived to see 83, health problems during their latter years prevented them from nurturing new and young audiences. Baraka, on the other hand, showed little signs of slowing down in his 60s and even at 78 now, he still maintains an active travel schedule. He still reads on college campuses. Nikki Giovanni might match Baraka's popularity in some respects, and Maya Angelou is definitely more widely known. However, Baraka is one of the relatively few living black poets who has been the subject of extensive scholarly analyses over multiple consecutive decades. Generations of writers and scholars, including Ralph Ellison, Gwendolyn Brooks, Eugene B. Redmond, Larry Neal, Theodore R. Hudson, William J. Harris, Aldon Nielsen, Tony Bolden, Komozi Woodard, James Smethurst, and Kathy Lou Schultz, to name only a few, have provided treatments of Baraka's work. Baraka's visibility and continued output of new material over time is even more astonishing when we consider that he has not had the assistance of a single major publisher. Langston Hughes and now Kevin Young benefited greatly from the assistance of Knopf. The same can be said of Nikki Giovanni and her longstanding relationship with William Morrow (now owned by HarperCollins) and Rita Dove and Ai with Norton. Technically speaking, the absence of a major publisher should prevent a poet from being major. Nonetheless, Baraka has remained resilient. I know of only one "major" poet who has for decades taken his poems to a neighborhood copier, had those pieces printed and then sold and distributed the works himself. That kind of ingenuity combined with longstanding and new support from general audiences and generations of scholars and anthologists, as well as decades of good health, help to explain Baraka's prominent durability.